I’m scared to death of getting sued. We now live in a litigious society where everyone is very quick to sue anyone for almost anything. The potential damage to your personal finances after getting sued, even if you win the case, can be devastating. Often times, your insurance company will settle a case for you, but you could quickly find your rates rising or your coverage being canceled altogether. There is one way to protect yourself from a potential lawsuit swamping your liability coverages on your insurance policies and reaching into your own pockets for the rest. Everyone should consider purchasing umbrella insurance to protect themselves and their families. Most car insurance policies and homeowner’s insurance policies have some form of liability coverage with them. The problem is that the amount of insurance coverage is too small in many cases should you have a catastrophic event that you are ultimately responsible for causing. Many car insurance policies will only cover amounts such as $300,000 in bodily injuries per person or $500,000 per accident. This may seem like a large amount of coverage. But, what if you negligently hit a car with four people riding in it and seriously hurt them? Medical bills can quickly eclipse what your car insurance policy will cover, and you will be left holding the bag, on the hook for the rest of the amount you were sued for. The liability coverage attached to your homeowner’s insurance policy is not any better at covering you should you be at fault for someone’s serious injury. Far too many people make the mistake that they do not need extra umbrella insurance over their car and homeowners liability limits because they do not have very much in the way of assets. You may think that it would be no big deal for someone to sue you because you do not have any cash, own a home, have retirement accounts, or other valuable assets for the person to come after. But, you do have one asset that you may not have thought of. You have future income. For many people, especially young workers with decades of a career left to complete, the amount of money that you will earn in the future can be quite significant. Even if you earn $40,000 per year, in 20 years you would have earned $800,000. That is a lot of temptation for someone to sue you over if you were found negligent in a lawsuit. You can provide additional protection to your small business by owning additional umbrella insurance instead of simply your commercial insurance policy. Whether you are looking at how to incorporate with a sole proprietorship, partnership, limited liability corporation, or even an S or C Corporation, umbrella insurance can be a great supplemental insurance policy to protect your assets and business income from lawsuits. Umbrella insurance policies can provide you with millions of dollars in additional coverage for pennies. You can purchase policies for $1 million for as little as $15 per month. You can purchase a $2 million umbrella insurance policy from some insurers for less than $30 per month. The umbrella insurance only kicks in if you reach your liability coverages on your home and car insurance policies. 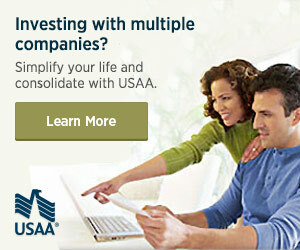 It is a great value providing you with coverage for pennies per thousands of dollars worth of coverage. The United States has over one million licensed attorneys in the country. That equals approximately one for every 360 of us. The number of lawsuits that are filed in American continue to rise every year. The odds of getting sued continue to increase as well and you should properly protect yourself and your family. Umbrella insurance provides you with a fairly cheap way to protect your current and future assets from lawsuits. Umbrella insurance is cheap but it requires your car insurance to meet a certain threshold. Thus, effectively it is pricier than it appears. To get a bigger bang for your buck, and if you rent out property….you can keep the umbrella insurance and not worry about starting a LLC. that way you are protected upto a million dollars in potential lawsuits and you save on LLC fees. Then again, you lose out on tax deduction associated with an LLC. I, personally, would just live with the risk unless I am get in a vulnerable situation like having a dog who has is agressive or something. Great point, but the benefits still outweight the costs. Our car and homeowner’s insurance premium increase was only a few dollars per month. Very negligible. I wonder if many people have umbrella insurance. $15/month ($180/year) sounds expensive considering the probability of needing it very slim. I think I would rather put this money into life insurance. The big question is which one has higher probability: running out of liability or dying? Do you need more life insurance? Typically, most use a rule of thumb of 10x your earnings as the amount of life insurance you need to purchase. So, assuming that you have that, I wouldn’t divert that money from umbrella insurance to life insurance. I just felt that people should make their life insurance a higher priority compared to umbrella insurance. That’s all… And yes, I need more life insurance since I do not have 10x my earnings.